The Star Wars Millenium Falcon display shelf is possibly the jewel in the Wooden Wares crown. A brilliant showcase for a much loved collection of toys or trinkets, it measures a huge 80cm x 60cm. 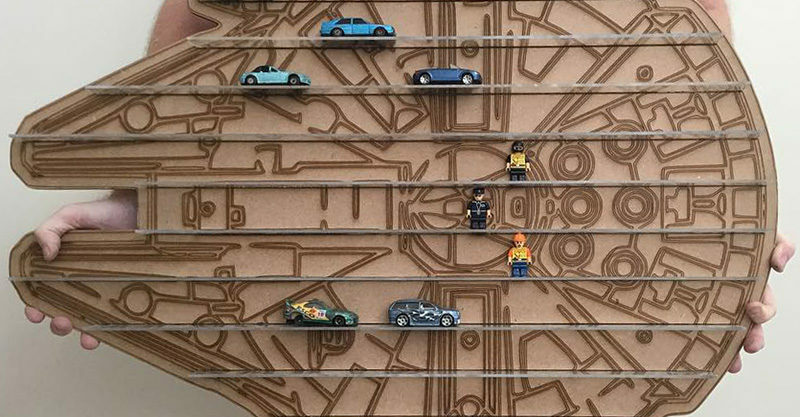 Clear acrylic shelves fit seamlessly and don’t distract from the impeccable laser cut engraving of Hans’s spaceship. 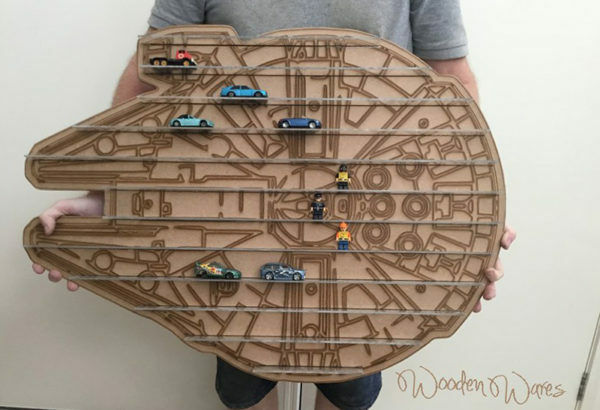 To order your very own Millennium Falcon, use the force and head to Wooden Wares. Priced $159 including delivery within Australia.